Just bring the eggs! 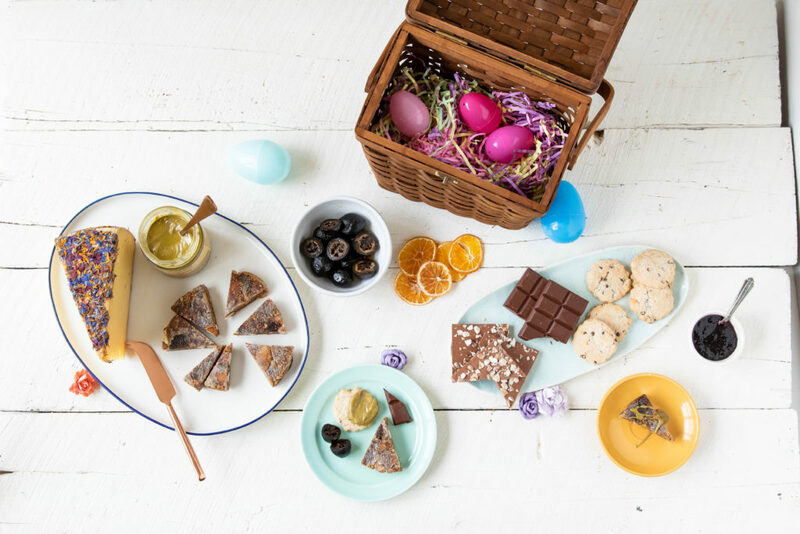 We’ve got everything you need to make Easter hosting a success–from our original “Cheese-ter” baskets stuffed with the best products to top-notch chocolates from producers around the world, Murray’s is your destination for spring treats. Plus, don’t miss out on our new deluxe dinner and brunch recipes designed specifically for Easter entertaining. Looking for Easter cheeses? Well, we have a few in mind–from fresh goat cheese to Alpine favorites that are ideal for a brunch quiche, we’ve got all the seasonal stunners that are perfect for spring. Because spring is the season of new beginnings, it’s only fitting that fresh chèvre deserves a place on your Easter cheese plate. 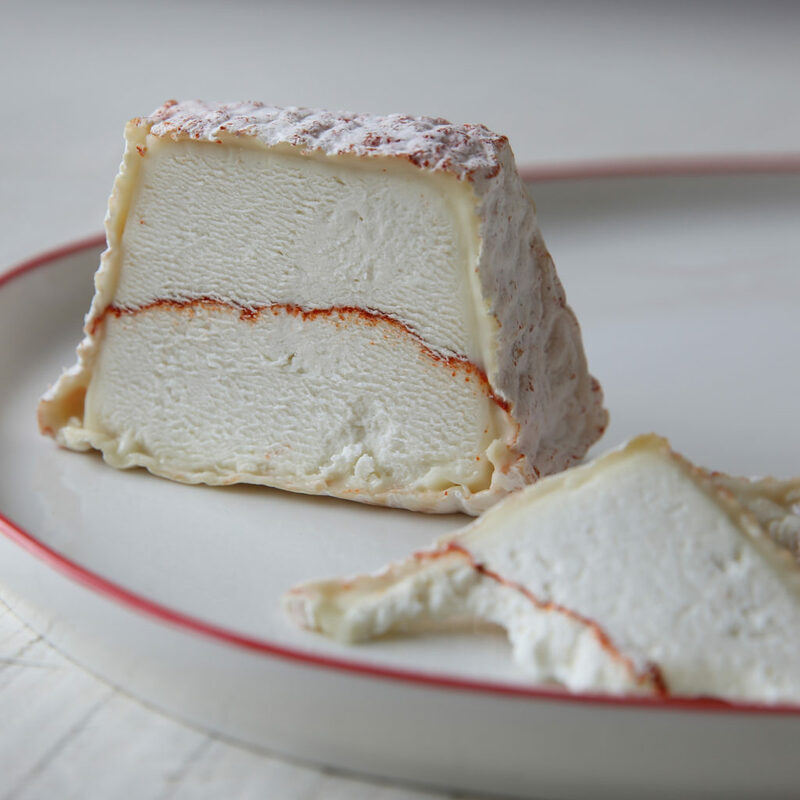 Made from the spring milk of goats, chèvre is delightfully velvety, tangy, and lactic–gorgeous wedges of Humboldt Fog or Capriole Piper’s Pyramid are guaranteed to wow on an Easter spread. If you’re in the mood to melt things down, Alpine cheeses are the way to go. From grilled cheese to omelettes, a firm slice of warm, nutty, grassy flavor is the perfect choice. These fan-favorites are known for being highly snackable and easy to melt, so grab some Gruyère or Comte for instant cheesy delight! Easter wouldn’t be complete without chocolate, and we’ve got that in spades. From classic milk bars to exotic blends, we’re stocked up on the top chocolates from the best producers around the world. 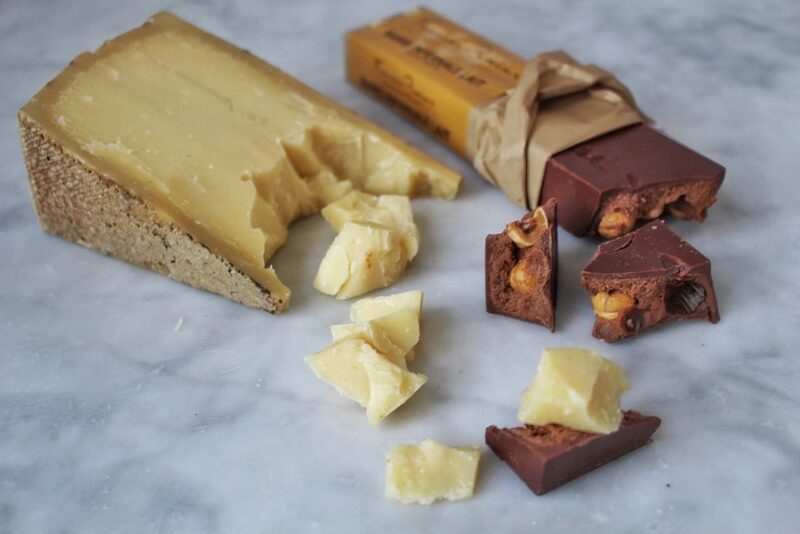 Whether you’re looking to keep things traditional with a sweet touch of sea salt or nuts, or want something diabolically delicious like our Pralus Infernal bars stuffed with nougat, our chocolate selection is nearly as diverse as our cheeses! And what about the classic Easter basket? Skip the traditional grocery store goodies and stock up on Murray’s “Cheese-ter” Baskets! Featuring carefully-curated collections of our best cheeses, meats, and sweet treats, these gourmet gift baskets are guaranteed to please. 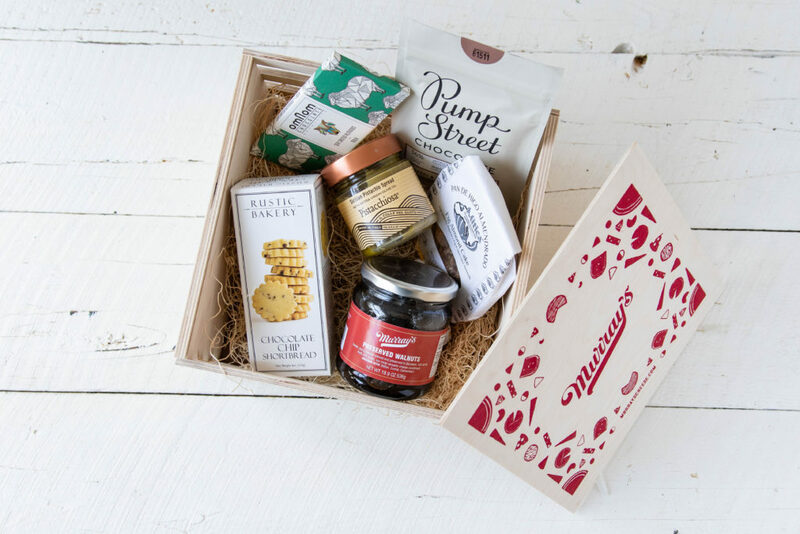 Choose our Cheesy Basket, filled to the brim with our top seasonal selections; the Adventurous Basket, a personalized gift crate with our best charcuterie; or our Sweet Treats Basket, a gathering of our tastiest chocolates and crunchy snacks. Whether you’re hosting Easter dinner or visiting family for brunch, our selection of themed collections of our best meats, cheeses, and sweet and savory accompaniments are a must-have for holiday gatherings. 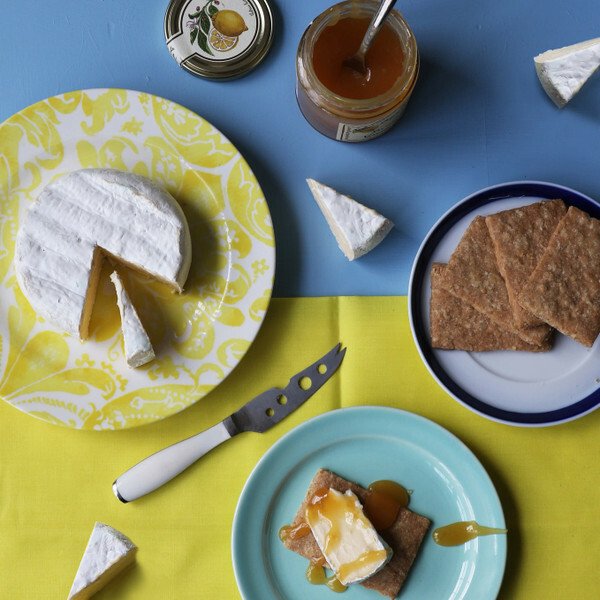 Our Spring Trio Collection is the ultimate Easter treat–with bloomy, buttery Green Hill from Sweet Grass Dairy, bright Serramel Lemon Curd, and delectably crunchy Effie’s Oatcakes, this delightful combo is an easy, crowd-pleasing spread. There’s plenty more Murray’s to inspire your Easter meal–check out our original recipes at Great Taste by Murray’s, or our selection of hand-crafted cocktails! Simple, gourmet and delicious, these delectable dishes are quick crowd-pleasers. Another Easter fix? Our Sweetheart Ham from Olympia Provisions, a three pound ham that’s been brined in juniper berries, fresh herbs, garlic, and onions and slow-smoked over applewood. We’ve got you covered for brunch, dinner, and sweet snacks, but if you’re looking for more Easter ideas, just ask a Murray’s monger!